A Wing Dissolved in Light, recorded at Finland’s Tampere Jazz Happening in 2013. The quintet is an international collection of brilliant players, each a member of numerous bands and all who should be more widely heard. 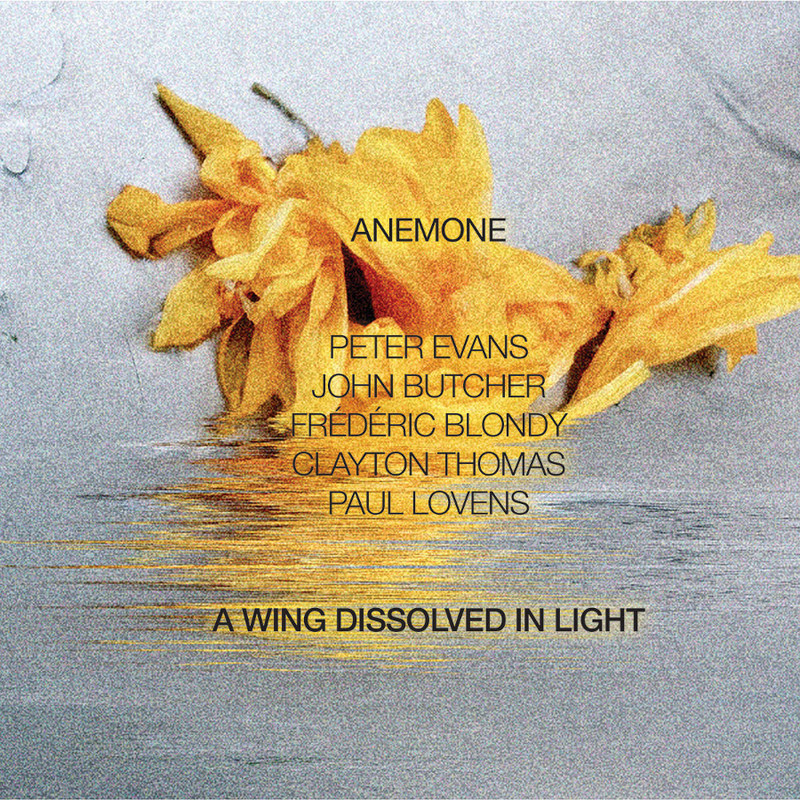 Alongside Evans on piccolo trumpet, there is English saxophonist John Butcher on soprano and tenor, French pianist Frédéric Blondy (hear him with Hubbub), Australian bassist Clayton Thomas (check out The Ames Room) and veteran German drummer Paul Lovens (a member of Schlippenbach Trio for the last 47 years). It’s a onepiece set only interrupted for the purposes of the LP and is continuously engaging, with every musician constantly shaping the unity and complexity of the experience, crafting a whole as richly poetic and elusive as the title. There are moments when one of the horns will focus the discourse, every member of the group fastening on a kind of trance-like power, often abetted by Lovens’ highly effective cymbal work. That it eludes any kind of blow-by-blow description only adds to its cumulative depth and value.